Hello Friends. 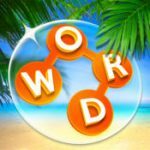 We are sharing today with you the answers for Wordscapes Daily Puzzle April 18 2018 Answers. With the latest update released by the developers of the game they have created the daily puzzle, which means each day you get a new puzzle to solve not related to any of the levels of the game.